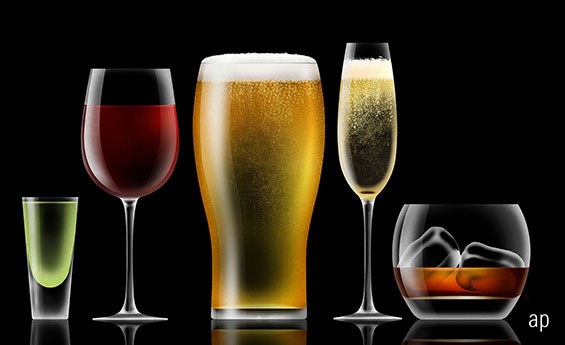 Around 3 million people in the UK vowed to go alcohol-free for Dry January this year. Those aged between 35 and 54 are most likely to take part in the challenge and it is thought around two-thirds of people who attempt the month-long abstinence from alcohol succeed. Consumers are becoming increasingly health-conscious and mindful about what they eat and drink. But what does that mean for the businesses that rely on the Brits’ love of beer? Pubs, brewers and spirits companies are having to adapt their offerings to remain relevant. This doesn’t appear to be a short-term blip. Figures from Kantar Worldpanel reveal sales of non-alcohol beer were up 58% last summer compared with the same period the year before. Research from Neilson found more than £43 million was spent on non-alcoholic beer in the year to July 2018 – equivalent to around 12.2 million pints – non-alcoholic ones at that. Christopher Rossbach, managing partner at J Stern & Co, rates drinks makers Pernod Ricard (RI) and Diageo (DGE). He thinks quality firms in the sector, with good management and strong balance sheets, have little to worry about. He explains: “Dry January is generally a response to excess consumption in December so it tends to even out over the course of the year.” He does, however, believe that drinkers are moving away from calorific beers to premium spirits as they look for “low-carb” and quality alternatives. Those brands that can position themselves at the premium end of the market should be well-placed to thrive. Diageo, for example, has had success with the launch of its Ketel One Botanical Vodka, which uses botanicals for natural flavouring rather than artificial ingredients. Gordon’s, meanwhile, has launched a low-calorie, low-alcohol version of its famous gin. But younger drinkers are not only focused on their waistlines. Drinks companies need to tap into the different priorities and values of this generation, which is all about the experience, if they want to appeal. Pernod Ricard, for example, has an app offering customers in South Korea rewards when they drink Absolut Vodka and post about it on social media. In Spain, drinkers of Patron tequila will see a donation made to a charity of their choice each time they enjoy a tipple. Rossbach believes it is the larger players in the industry that are best placed to benefit here because they have the scale and resource to trial new products and ideas. The proof of that can be seen clearly enough in recent results. 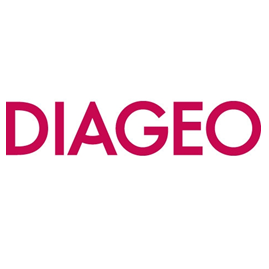 Last week, Diageo reported operating profit had grown 11% to more than £2 billion as the continued “ginaissance” helped sales in the UK grow by 14%. Elsewhere in the industry, Japanese giant Asahi Group (2502) purchased the beer and cider business of Fuller’s for a hefty £250 million. Such consolidation is likely to continue as the big names in the sector snap up the smaller brands that have proven themselves to be successful. For investors looking for exposure to these trends, there are a number of fund managers keen on drinks companies. The £2.5 billion Evenlode Income fund has almost 12% of its assets in drinks companies, with Diageo among its largest holdings. Manager Hugh Yarrow favour quality businesses that are capable of reliably growing their dividends. Meanwhile, the £5 billion Lindsell Train Global Equity fund has 22% of its assets in beverage companies including Diageo and Heineken (HEIA). Manager Nick Train likes the brand loyalty the firms enjoy from their customers. He points out that expanding into low- and no-alcohol products not only allows them to appeal to a wider audience but means they can sell these drinks without the tax implications of alcoholic beverages.